The UCSB History faculty created this course in Spring 2008 to provide a venue in which students from all historical fields can work together on the writing of seminar papers and dissertation chapters. Students in History 204 still meet outside of class with their own mentors; in class, we read and comment on drafts of each other's work. When taken in conjunction with a History 201 in which suitable preparation for writing a research paper has been done, students may petition to have the two courses (201+204) count for research seminar credit. There are no required books for this course. Instead, I have compiled a reader with selections from varous sources that address different aspects of the researching and writing process (see Readings section, below). 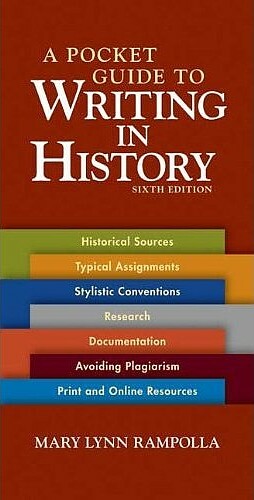 William Storey, Writing History: A Guide for Students (Oxford UP, 3rd ed. 2009), 128 pages. It is clearly organized, comprehensive and offers sound advice with flexibility suitable for more advanced students. 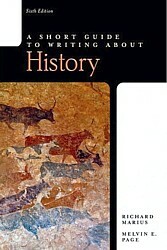 Mary Lynn Rampolla, A Pocket Guide to Writing in History (Bedford/St. 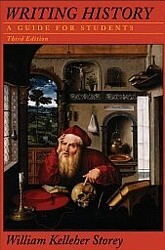 Martin's, 6th ed. 2010), 152 half-size pages. Clear, sound and comprehensive, with advice suitable for beginning and advanced undergraduate students. Excellent on quoting and documenting sources, with lots of examples. Richard Marius and Melvin Page, A Short Guide to Writing about History (Longman, 7th ed., 2010). Similar to the other two, well suited for advanced undergrads & graduate students. 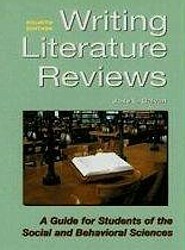 Jose L Galvan, Writing Literature Reviews: A Guide for Students of the Behavioral and Social Sciences (Glendale: Pyrczak, 6th ed. 2009). Not intended for historians, but with much sound advice about organizing, writing and revising. Each week one student will select a published article or book chapter for all to read, and submit a piece of their own writing on the same topic. In a roughly 2-week cycle, all students will exchange draft installments of ca. 5 pages for peer review and editing. The formal written requirement for the course is a ca. 25-30 page draft of an article or dissertation chapter, with or including an annotated bibliography or literature review. Six students regularly attended and participated in this class. Two others were there several times, but dropped out or were not enrolled and won't be conisdered here. None of the six were trying to write a research seminar paper; four of them were trying to turn previous research papers into dissertation chapters, and two had some ideas about what their dissertations would be, but were still in the narrowing-the-focus stage, searching for the approach they would take. All were advanced to candidacy. I used a course management system (moodle, here at UCSB called Gauchospace) to communicate with students, and for students to make their drafts and comments available to each other. I set up a Forum for each student--I found that a "standard forum for general use" was best, since other types restrict access in various ways, or don't allow the subject of a post to change. Given the shortness of our 10-week quarter, a previous teacher of the course told how important it was to have students submitting sections of text early, and I tried to build this into the course as "installments" (first 5 pages, etc.). However, since things tended to come together much later, I think it might be better to have students produce modular chunks along the way, like a description of their primary source material, a literature review, a thesis paragraph, biographies of major figures, accounts of key events, etc. Once students figured out what they were doing, writing the pages was not such a problem. Week-by-week account. What follows is derived from my weekly emails to students about what we would actually do that week. Week 1: Introductions, brief presentation of projects, discussion of what we knew about each other's topic. Assignment: purchase course reader; annotate a short bibliography of the most important literature on their topic; read about writing literature reviews; formulate their research question. From weekly email: "I chose this week's readings primarily because I think the very first thing you should do before choosing a topic, and an important thing to do before beginning to write, is to summarize what has been done about that topic already. This establishes you as someone knowledgeable about that topic, and most readers will want to know what other information is out there, and what your paper will contribute." Hindsight: I should have started the Forum now, for posting the bibliography and research questions. It would have been good to have them talk about the primary source material they wanted to use, and to what extent they had it or would be able to access it. Week 2: We discussed the readings on writing literature reviews, and two students presented their projects (one who had already written a paper, one working towards topic definition). Assignment: Turn your annotated bibliography into a literature review. Make a list of authors and unique keywords to use in searches of various online bibliographic databases, including tools like google scholar. Try to install firefox with the Zotero plugin, also the cite-as-you-write macro integrated with MS Word. Week 3: [note: switched with syllabus week 4] We discussed nuts-and-bolts issues of how to access and record information in archives, sharing experiences. I demonstrated the online tools I use and showed how having an outline can help with notetaking. Teacher prep: you have to know your stuff with the online tools and databases--this is not easy. After the Monday class I set up the online forums and gave each student a primary and a secondary commentator, who were required to post by Friday and Sunday afternoon, respectively. I also posted, sometimes first, sometimes after the primary, sometimes last. 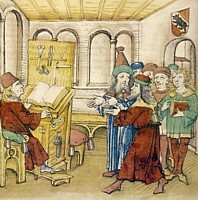 Students were encouraged to read others than the 2 assigned. Assignment f rom email: We'll start the workshop part of next week's session with installing the Zotero database plugin. There are three steps for that. If you can do/try them in advance, that might help streamline things. REMEMBER: BRING YOUR LAPTOPS! You install it from within firefox, but best to have Word closed when you do so--you'll have to restart it in any case to get that toolbar. If any of this doesn't work, don't worry, we'll troubleshoot in class. I'll send a second message about the content part of class--posting thesis statements or research questions on the Gauchospace forums. Post your research question or, if you've done enough research to have an answer to that question, your thesis statement on your gauchospace site Forum. Under the News forum (where you can read these messages) and syllabus links at top center, you'll find a forum list alphabetically by your first name with a short topic description. Click yours, then Add a New Question/Topic [I'm trying two kinds to see if it makes a difference]. Please choose a descriptive Subject with your name (these are used in emails to subscribers), like: T's research question. Type or paste your research question in the main text box, and add narrative commentary or explanation below if you want to. Then click Post at the bottom. Please try to do this BY FRIDAY NOON so respondants will have time to respond before Monday's class. Respondants try to RESPOND BY SUNDAY 3PM. [There followed a list of students and their commentators, e.g. M's paper by T and V.
I think our experiment with the forums last week was successful--the feedback and suggestions were excellent, and I would like to continue using them to prepare for our next class. First, do the readings (Reader pp. 24-53: Storey chaps. 5-7, Rampolla, Marius/Page ch. 5/1). I hope these will give you ideas for developing your outline and argument. Next, a technical suggestion for Gauchospace: If you click on the Forums link in the left-hand vertical navbar column, you will get a list of all of the forums, where you can see how many threads/discussions have been posted, and where you can "subscribe" (receive an email when someone posts something to your forum). Please everyone subscribe to your own forum. (You can also do this in the upper right when you are in any given forum.) Please also subscribe to (at least) one other forum--I'd suggest the one I made you the main commentator of last week. c) draft some main points of an outline (5-8 maybe) showing the topics you will address in developing an answer to your research question. Please try to do this by Saturday noon. Note: If you understand how to do it, start a new thread--you do this by clicking the Start a new discussion/question button on the main page when you first open your forum. Again, choose a meaningful title, such as J's revised research question and outline, or: P's thesis statement and outline. Then, before classtime Monday, look at at least three others besides your own. That is, the two to which I assigned you last week, and one additional one. This time you don't have to comment (we'll be discussing some of these in class), but if anything occurs to you while reading, please post it for the benefit of the forum owner. While doing this, think of which one(s) you find most suitable/fruitful for class discussion. I'll choose also, but you are invited to outvote or overrule me. Finally, please continue your research!! If you are using zotero, collect your questions (or post them to the new Zotero forum I've created), and I'll try to address them there and/or in class. Week 5: Two more student presentations; class discussion focused on outlines, research questions and thesis statements. Assignment email: As discussed in class last week, I'd like to start by discussing L., T. and Z. 's projects, and others as time permits. For each, we need to identify an answerable research question, and--if the research has progressed far enough--a thesis statement that offers an answer to that question. Then we will look at various possibilities how an outline can be built to answer the question or construct an argument in support of the thesis. The readings for the week are chapters 9 & 10 from Galvan's Writing Lit Reviews. Although we're working on papers, not lit reviews, I think the advice is similar: start with an overview of what's out there already, organized in a way that builds an argument in support of a conclusion. The difference is that your evidence will, in general, not merely be secondary literature, but primary source material, collected, analyzed, interpreted, weighed against each other. Week 6: In-depth discussion of 3 projects. Based on the readings (Galvan chaps. 9 & 10) we talked about strategies for getting words on paper. Assignment email: As we discussed in class, many of you need to scale down the scope of your projects to something manageable in the limited time we have left. We went over T., L. and (almost) Z. 's proposal/outlines, and noted some ways of scaling them to manageability. The message is clear: a tightly focused, well argued paper based on a solid set of available sources. The assignment for this week is to draft an outline and an introduction. While the readings I planned for this week, on writing style, are among the most important we have (I think), they are a bit premature. (Still, I read and reread them with profit.) I suggest rereading the first selection, Galvan chap. 8, which covers outlines as well as introductions. Z, M, V, J, B, P, T, L, as far as we get. If you post your outline on Gauchospace, as T. has done, I'll give you some feedback in advance. But my real advice is: WRITE, WRITE, WRITE, as much as possible. In the writing your ideas will become clearer and help you to reformulate and improve your outline. Week 8: The students had a writing break while I was away at a conference. They were to upload their first installments mid-week so I'd have time to read them before class. From assignment email: The assignment for our next meeting is to write 10-12 pages of text (doesn't have to be the first pages, i.e. must not include the introduction, although it can) and upload them to Gauchospace. Please do this by Thursday 11/18, so that I have time to read them before class. Hindsight: Only 3 students met the Thursday deadline, but the rest were in by Friday of this week. I reminded them to comment on each others' drafts on the forums. If I had been there, it would have been good to have a discussion of powerpoint and oral presentations. Note: I did not read any drafts after this one until the final version. I offered the two students who were lagging behind that I would read an interim version, but they didn't have them ready. I don't like to read two similar, nearly complete versions, since I tend to skim the second, final version, which I need to grade. Week 9 (Monday before Thanksgiving): We discussed one student's draft at length, another briefly. We had an excellent discussion of the process of submitting manuscripts to journals. I told about the general process and my experience as an outside reviewer of manuscripts, and one student who had been an editorial assistant at The History Teacher told about their editoral meetings and reviewing/selection process. This complemented the Luey reading well. I also explained and fielded questions on how to form panels and submit papers to conferences. Surprisingly, students had little experience in this regard. Hindsight: Alhtough the topic of journal submission was a bit premature for these students/this course, I don't think it hurts to include it. Still, if you can think of a better topic, here is a good place for it. Assignment: read the selections on conference presentations, and prepare a 10-minute presentation of your work. If you use powerpoint (5 did, the 6th made a handout), no more than 5 (better 3) slides. We set the order of the presentations for next week. Week 10 (after Thanksgiving break): Oral presentations. After each, go around the room and each students gives their reaction and asks questions. I also commented on the technique of presentation and features of the powerpoint slides. Assignment: incorporate feedback from the oral presentation and post your paper asap (after the Monday seminar) for comments and editing by your peer reviewers. Incorporate those and then submit to me at the end of the week. Week 10/11: I had staggered due dates: two each Friday, Saturday and Sunday (but granted extensions to three students). Grades were due the following Wednesday. Jose L. Galvan, in: idem, Writing Literature Reviews (Pyrczak, 1999), 71-78. Robert Blackey, "Words to the Whys: Crafting Critical Book Reviews," in: The History Teacher, 27:2(Feb. 1994), 159-166. Sam Wineburg, "Must It Be This Way? Ten Rules for Keeping Your Audience Awake During Conferences," in: Educational Researcher (May 2004), 13-14. John Rohde, "Secrets of Presentation Design Guidebook" (March 31, 2011), with downloadable pdf (cropped version optimized for printing 2 slides/page).